If you open my mom’s fridge you will usually find puff pastry, a wheel of brie, and guava marmalade ready to go at a moment’s notice- I’m also betting that if you open the pantry you will find a box of Carr’s water crackers too. This is my mom’s recipe for baked brie with guava- a foolproof solution for unannounced guests, impromptu gatherings, and any occasion- special or otherwise. Baked brie with guava will always impress your guests, is crazy easy to make, requires basically no dishes (which I loathe), and makes you feel like you have it together (somewhat at least) when you find yourself entertaining guests either planned or spontaneously. Obviously in order for me to help you look cool you have to have the basic elements on hand pretty regularly- puff pastry and brie. Help me help you! You can exchange the guava for any marmalade of your liking- strawberry, apricot, peach, jalapeno pepper, red onion jam– the list goes on. As you know I have a serious love for all things guava so this is always my numero uno selection for baked brie, but go ahead and choose anything you prefer. I brushed my baked brie with guava with a rosemary simple syrup right when it came out of the oven. The rosemary simple syrup gave the baked brie with guava a nice earthy and herbal small that went well aromatically with the sweet guava and rich brie. Feast on with family and friends, breathe a little when your guests arrive (or show up), and know that this easy and classic recipe for baked brie with guava will always make you look good and will always taste good too! Bon appetit! Preheat the oven to 350F. Use either frozen puff pastry or the pull-apart crescents that come in the pop can (which my mom uses and presses the perforations together). Place the brie in the center of the puff pastry and brush with your marmalade of choice. Do NOT trim the white casing off on the brie. This is totally edible and keeps the brie from melting all over the place. Fold over the edges of the puff pastry to completely cover and seal the brie and guava. If you leave bits peeking through it will melt through or the marmalade can kind of burn. Brush with egg wash before placing in the oven. Bake the brie and guava for 25-30 minutes or until golden brown. While my baked brie with guava was in the oven I made a quick rosemary simple syrup to brush on top. Place the 1/4 cup water and sugar in the microwave with the sprig of fresh rosemary and heat at 30 second intervals stirring after each interval until clear. Brush right when the baked brie with guava comes out of the oven. Let the brie settle for 5-10 minutes before cutting in. 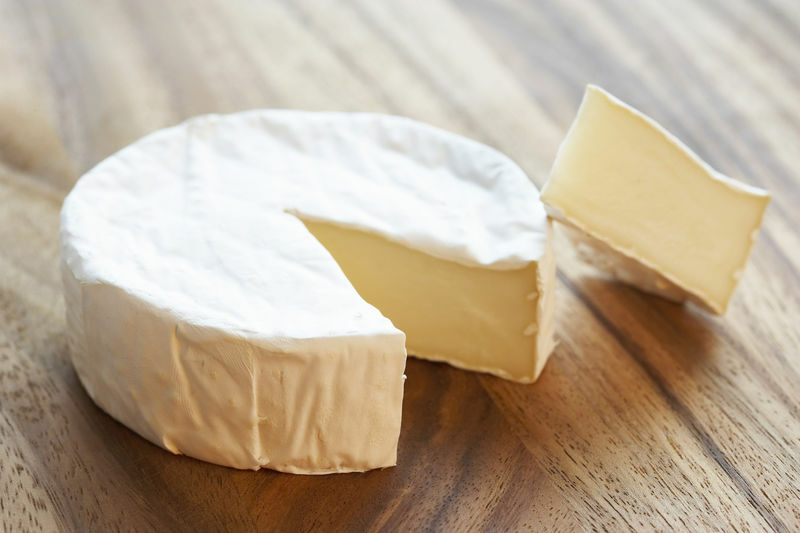 You can always par bake the brie if you are taking it to a get together or dinner party. The brie will solidify once it cools down. If you are taking this baked brie with guava to a dinner party just pop it in the oven again at your destination for 10-15 minutes on the warm setting and the brie will become melted inside again. Serve with freshly sliced fruit, toasted almonds, melba toasts, water crackers, or other simple crackers of your choosing. This recipe is great year-round and will always be a delight. 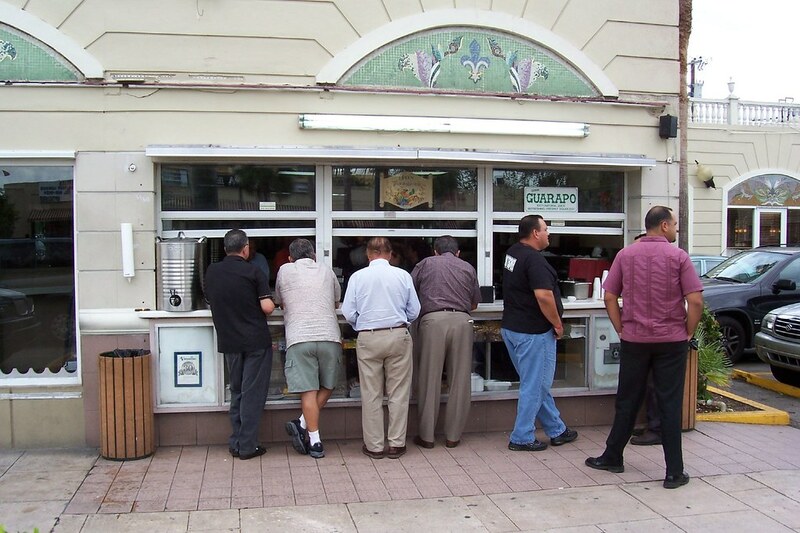 In a city where bagels and rugelach are ubiquitous, I find myself craving real Cuban goodness- pastelitos de carne. Pastelitos are great at any time of day, kind of like ice cream, but they’re usually enjoyed for breakfast, an afternoon snack, or at any family party. I dream of days when I could walk into a bakery and stand before an array of golden pastelitos- de carne, de queso, de guayaba, guayaba con queso. The warm scent of homemade pastelitos de carne baking transports me to ‘la ventana’ or cafeteria windows, but I’m sipping my cortaditos at home in NYC instead of at Versailles nowadays. Pastelitos de carne are crazy easy to make- that is if you don’t have to stop every two seconds to take a picture! I made my mom’s classic Cuban picadillo for the pastelitos de carne, and I had enough picadillo left over for dinner that night. Making pastelitos de carne (or just pastelitos in general) is especially easier if you purchase pre-made puff pastry. While the idea of making puff pastry from scratch is warm and fuzzy and makes me feel legit, it’s just not realistic in my tiny NYC kitchen. These kitchens are small-I think the technical term is itty bitty. Kitchen size aside, these pastelitos de carne were worth every bit of effort, and I can’t wait to make pastelitos de queso soon. Prepare the picadillo according to the recipe link here. I let my picadillo get to room temperature before making the pastelitos because the hot meat can melt the cold puff pastry too quickly before it gets into the oven. While the picadillo is cooling you can begin to make your puff pastry from scratch if you are choosing to do so. I have used this recipe and this recipe too and I liked them both. I chose to buy pre-made puff pastry this time from Trader Joe’s so I wait until the picadillo is slightly warm before starting. Puff pastry is in the freezer section and you will need to let it defrost overnight in your refrigerator. Preheat the oven to 400F. Line a sheet tray with wax paper or on other non-stick material to have ready for later. Lightly beat the egg with one tsp water and set aside. Dust a clean surface with flour before rolling out the puff pastry a bit. It is already quite thin, but I rolled it out a bit more. Using a round cookie cutter cut out as many pastry circles as you can. Re-roll and cut more until you are out of dough. I kept on adding pinches of flour to prevent the pastry dough from sticking. Dust off excess flour and begin to prep for the pastetlitos. My recipe made around 15 pastelitos de carne so 7-8 rounds per sheet of puff pastry, but maybe this is because I am not an expert dough roller? Who knows?- my argument is quality not quantity. Place the pastry dough rounds down and brush with the egg wash. Add a spoonful of picadillo and press the pastry dough round on top making sure to firmly press the edges and create a seal. Repeat for all of the dough rounds until you run out. Place the pastelitos de carne on the lined baking sheet and brush the tops with the egg wash. Bake for 20-25 minutes. I baked mine for only 20 minutes and they were a perfect golden brown. While the pastelitos are baking put the sugar and water in a cup and microwave for 30 seconds. Remove it and stir the simple syrup and microwave for 30 more seconds. Allow it to cool and you will have a small batch of simple syrup for brushing the pastries. This step is optional, but it adds a wonderful sweetness to the picadillo stuffed pastelitos de carne. Brush the pastelitos with the simple syrup the second they come out of the oven. I suggest waiting a little bit before digging in as these pastelitos de carne will be piping hot! Buen provecho!